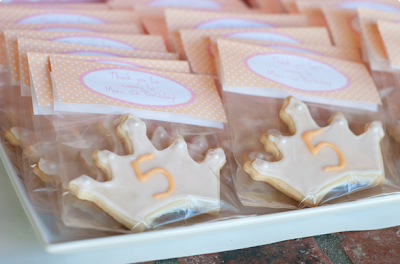 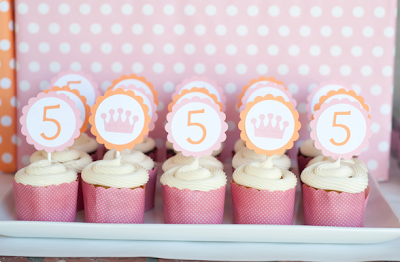 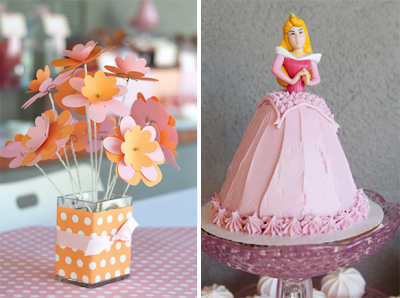 Nicole held this lovely princess party for her daughter's 5th birthday. 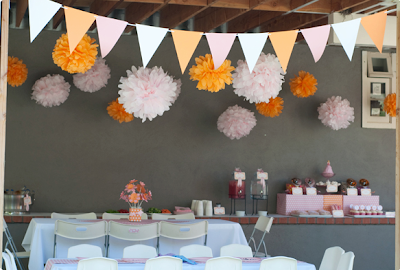 I've always been a fan of pink and orange together, and the shades she chose are perfect- so soft and feminine. 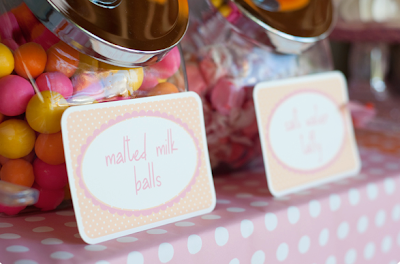 The handcrafted details are simply delightful and the oversized treat tins are a wonderful favor idea as well... since they can be re-used for crayons or other art supplies. Such a pretty party! 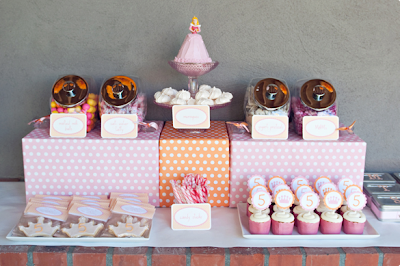 The dessert table is really cute! 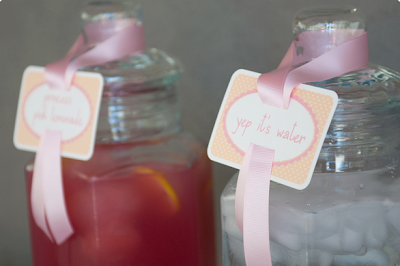 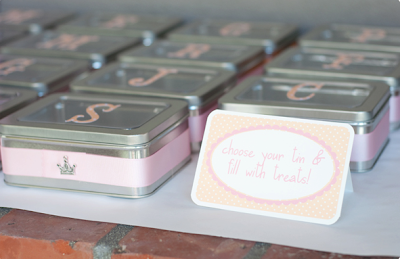 Love those favor tins, and of course the paper flowers!